As I typed the title to this post, it almost had me singing “Blue moon, you saw me standin’ alone Without a dream in my heart, without a love of my own” There have been many who have sang this song but I am not sure which one is in my head. OK, enough of that. My point to this post is that this Saturday, thee will be a Blue Moon. No, it will not be blue although in doing research once, there is a phenomenon whereby the moon appears bluish owing to smoke or dust particles in the atmosphere. This blue moon will be the 2nd full moon in the month of March. Be sure to look up this weekend and enjoy. I hope I can catch it on film as it sets. Our western skies offers us the most incredible moon sets and sunsets. 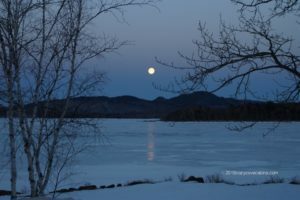 Well I did capture the blue moon this morning as it set over Big Woods frozen waters. When the sun is out, I, as most people, where our sunglasses. Do you ever notice how beautiful the sky and clouds look through polarized glasses? 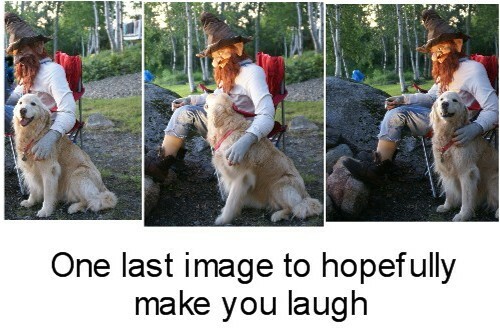 Then you take the picture, and it is just not the same. The clouds are not as white or sky not as blue. You all know what I mean. And yes, I could have gone up and attached a polarized filter to my lens but I took the chance to see what my camera would do. It came out almost as I could see it. 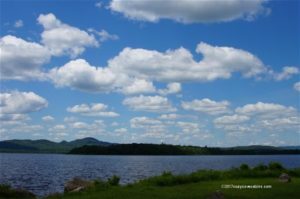 Crystal clear blue skies and many white puffy clouds. What a day! They are located in Laguna Niguel and have some wonderful treatment options also! As some of you may have heard via the news or on our Facebook page, a terrible tragedy happened in Jackman in the early hours Tuesday morning: the driver of a tractor-trailer truck coming from Quebec, fully loaded with tree-length logs “fell asleep at the wheel” and flipped over, spilling the logs into the bottom floor of a family home, demolishing the ground floor, causing the second story to collapse upon it. While it is devastating to lose your home, this pales in comparison to the most important thing that was lost… and that is the life of one of their four children, their 5-year-old son. “Watching people come together in such a horrific time of sadness has been deeply gratifying and has truly exposed the goodness that exists in our community” as written by Becky Felker. Uncle Kevin and Auntie Celie took a moment to remember their times with our Murphy girl. This is Lacey, a guest who is visiting with us this week. 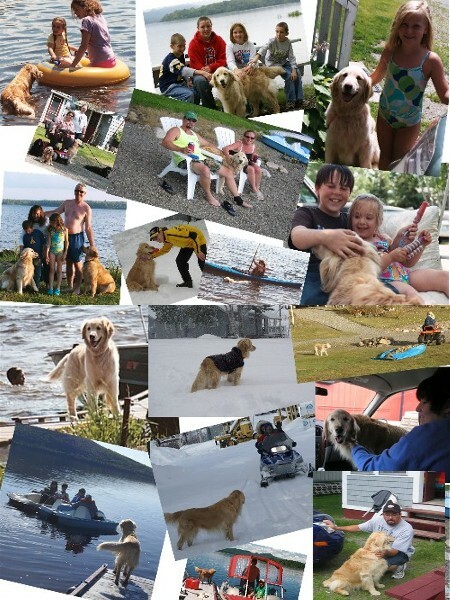 And although we do welcome all dogs here at Cozy Cove, goldens will always have a special place in my heart. This little gal has so many similar characteristics of Murphy Girl that I swear they are related. She is curious, a little defiant, always has one eye on her Mom, kicks her leg when her tummy is scratched, retrieves a toy but does not give it up, when she is told to lay down but does not want to, she makes the same grumpy noise like “ok if I have to”, she is social, wanting to say hi to everyone she sees (not as social as Murphy)and basically a good girl. In not trying to overload anyone with all of these pictures on one post, but these are a few more to share. The next ones are some of “she was just so damn cute” pictures. 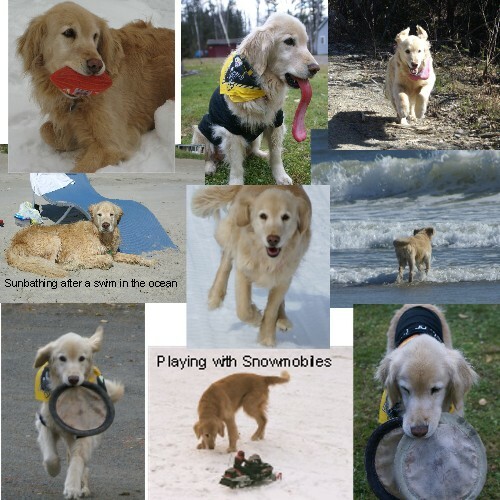 She LOVED playing Frisbee and often had 2 toys in her mouth. She put up with Mom dressing her on Steeler day, Halloween or Christmas. But my favorite is her after a bath all snuggled under a blankie. Playing, chasing, catching, running was pretty much all she wanted to do. It has been a week since our loss and even though I no longer walk around her bed that is not there, I still catch myself looking where I walk so I do not trip on her toys or holding the door open a few seconds longer as I leave a room. 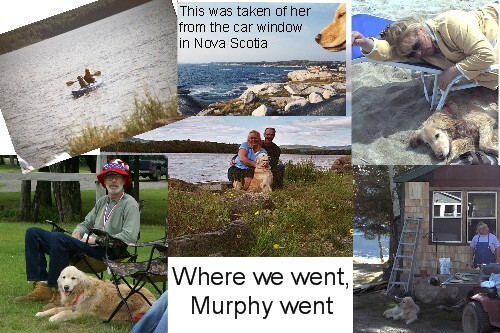 Murphy was always with one or both of us: Judging the floats on 4th of July, helping supervise cabin repair, Kayaking with me, jet skiing with Steve, plus on any road trip. so it used to be that if I could not find Steve, I just had to look out and see which cabin Murphy was next too. Now, it is harder to find each other. We still miss having her under foot but we are adjusting. 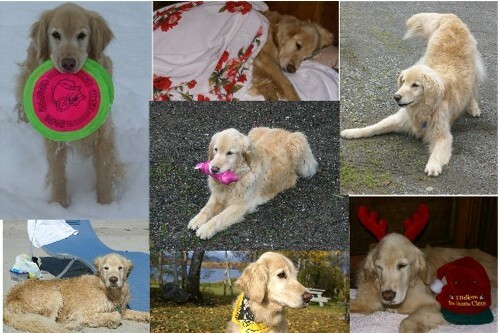 We wanted to thank our families, friends, guests and even those guests we have not met yet, who have emailed, called, or added comments on our Facebook Page for your kind supportive words and memories of Murphy. Although it refreshed our tears each time as you shared stories or pictures of her, your words and memories brought us joy. We know she was loved by many. 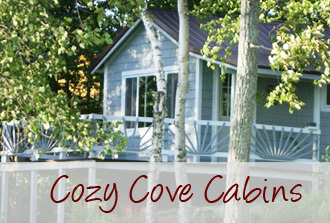 I would like to share some of the images we have of Murphy since we came to Cozy Cove Cabins. 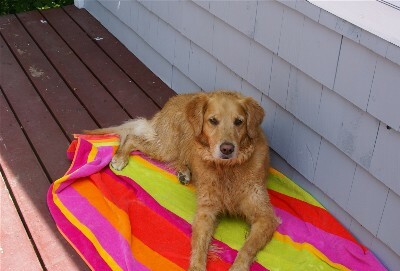 She was a big part of our lives and our best welcoming committee. Many who stayed with us, asked about her before even greeting us…we understood that. SO these 1st two collages are some shots of her and the friends she made. 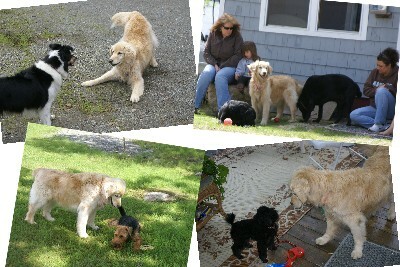 Murphy loved other dogs, always preferring to be chased. She would run and play for hours with them. Even with the littlest of dogs…she was gentle and sweet. So as to not overwhelm you, the rest will be on Part 2.